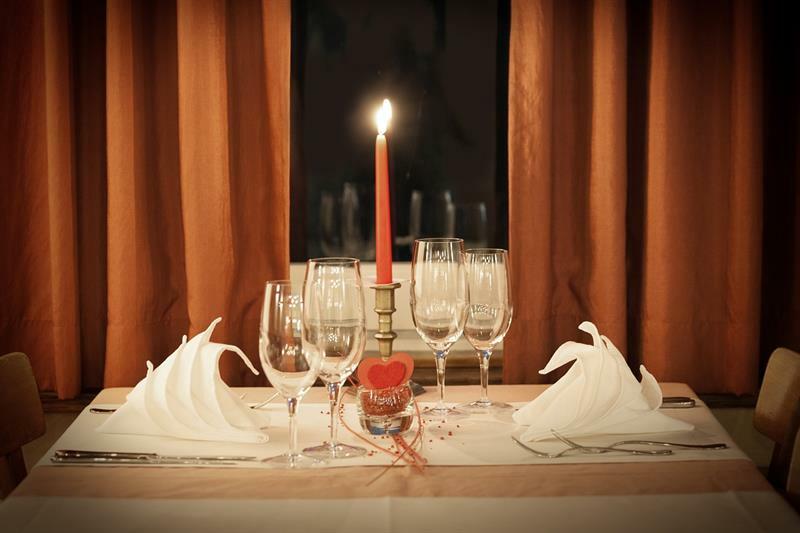 Want to take your beloved for a candlelight dinner or a romantic afternoon lunch? Here we are with 11 Most Romantic Restaurants in Delhi NCR for Couples to append some time in privacy with delicious food and beverages. Nothing can be more romantic than a candlelight dinner or a lunch at poolside with your beloved. There are many restaurants in Delhi NCR where couples can spend a quality time while having a delicious food and a romantic ambiance. 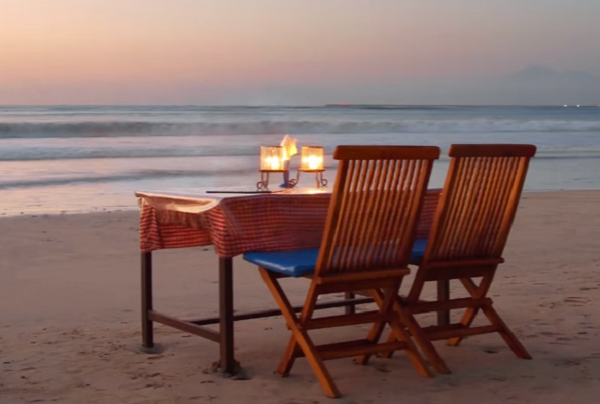 Here is a list of the most romantic restaurants in Delhi for a perfect romantic date. Sevilla a fine dining restaurant located in The Claridges hotel is a truly romantic place for couples. It is designed on a Mediterranean theme. Delicious food, elegant ambiance, and extensive outdoor seating are enough for a free flowing, casual dining experience. The restaurant wins many awards and positive reviews for its innovative cuisine from the Mediterranean. Meal for Two costs- Rs. 5000 Approx. Amour the Patio Restaurant is located in the center of the beautiful Hauz Khas Village offers beautiful indoor and outdoor seating. Amour serves delicious Continental, French, Mediterranean, Italian, Seafood, Spanish cuisine and fully stocked bar. It provides excellent ambiance for couples along with a nice view of Hauz Khas Village and the lake. Nothing can be more romantic than having a dinner under the starry sky or clear blue sky. Meal for Two costs- Rs. 2500 Approx. West View is a beautiful rooftop restaurant located at ITC Maurya presents the great view of green Delhi which you have never seen before. It's awesome ambiance and great views are perfect for dining with your partner. West View serves European and Continental cuisine with an open grill to see your favourite food being grilled a few meters away in front of your eyes. They have full stocked bar with a great variety of wine to enjoy with the beloved. Meal for Two costs- Rs. 6600 Approx. Sky Lounge Bar and Grill is a beautiful terrace lounge with the largest open bar located on the top floor of Hotel the Royal Plaza is a perfect destination for a wonderful dinner with your beloved. One can have a panoramic 360-degree view of the Delhi and significant landmarks in the city from the lounge. Live music can photography will make your event even more special. Sky Lounge serves North Indian, Italian, Continental and Chinese cuisine along with a variety of cocktails and Mocktails. Meal for Two costs- Rs. 2000 Approx. Cherie One Qutub is a beautiful restaurant in Mehrauli is a perfect place to spend a romantic evening with your loved ones. The restaurant serves authentic European, Italian and Continental cuisines with a range of alcoholic and non-alcoholic drinks accompaniments to the delicious food. Cherie has an inviting ambience with soft lights, comfortable sitting, exotic beverages and live musical performances are perfect to celebrate the romantic day with your partner. This wonderful place is one of the best romantic restaurants in Delhi. Lodi - The Garden Restaurant is an open air restaurant with dangling lanterns and curtailed pavilions is an ideal place for couples to spend some quality time together with delicious food and wonderful beverages. One can enjoy the European, Lebanese and Mediterranean cuisine at Lodhi-The Garden Restaurant. It is a perfect place for celebrating valentine day, anniversary or any other special occasion with your special ones. The ambience and the cosy environment of the restaurant automatically turn on the romantic mood. Indian Accent located inside the Manor hotel in Friends colony west is the beautiful place to spend the quality time with your partner. Overlooking the cool veranda and the lush green lawn, the restaurant has a private dining room and a large bar. It is also featured in the World's 50 Best Restaurants 2016. The restaurant serves inventive Indian cuisine along with a premium quality of alcoholic and non-alcoholic beverages. Beautiful lawns and spacious terrace of the restaurant are perfect for large outdoor functions while their private dining rooms are suitable for romantic dinners and lunches in an intimate setting. Meal for Two costs- Rs. 4000 Approx. Veda has a perfect ambience for a romantic date and dinner. The interiors of Veda are exquisitely well designed to offer a soothing effect with a heart-warming music. Veda serves delicious North Indian and Mughlai cuisine with a large bar. Veda is nicely decorated with dim light and one can enjoy the candle light dinner with soulful music. This restaurant is run by Rohit Bal a well-known fashion designer. Crystal-framed mirrors and red chandeliers make the place more dramatic than just any another restaurant. Meal for Two costs- Rs. 1800 Approx. On the Waterfront (OTW) located inside the Lodhi Hotel is the best place for having late night dinners and enjoying drinks in a cosmopolitan atmosphere. OTW serves delicious European, Italian, Chinese, Thai and Sushi food with a large variety of cocktails and Mocktails. The glass door in the middle of the seating area and the pool area gives you a feel to have food beside the poolside. It is one of the most romantic waterfront restaurants in town to celebrate your special occasions with your partner. Meal for Two costs- Rs. 3100 Approx. Olive bar and kitchen are one of the most romantic and peaceful places for dinner in Delhi with your partner. It is located behind Qutub Minar surrounded with lush green environment. It has a huge dining area and is divided into four sections each designed beautifully with a theme. One can enjoy Mediterranean, Italian, European and amazing seafood cuisine here. Prego a beautifully designed restaurant located at Lobby Level in The Westin hotel is perfect for lunch and dinner date. Prego serves delicious Italian food and a tasteful wine collection for the food lovers. It is a unique place to celebrate your crazy and whacky side while having appetizing Italian food. The décor of the restaurant is very inviting to spend some time alone with your partner. Meal for Two costs- Rs. 3000 Approx. So if you're planning to have a romantic date with your partner or to spend some quality time over a good food and drinks then choose any of the above-listed restaurants and enjoy with your loved ones.